This February we're beyond excited to present to Saskatoon, Puppy Yoga! This is our first ever time offering this event which we've aptly called Mutts & Mats: Yoga for a New Hope. What could be more enjoyable than a relaxing Yoga class, surrounded by adorable 3-month old puppies? While this class is currently sold out, the initial response has been so overwhelming, we plan to provide this class again in the very near future. If you've ever been to our gym you've likely met our Gym Dog named Dak. Having Dak around, and the reception he's gotten from all of our member, we've realized what an admiration you all have for dogs. We've also realized just how many of you out there all have a furry family member of your own. We figured it was only fitting to combine something as lovable as dogs with something so many of you are so passionate about as Yoga. And hey, if yoga can be made more popular with the addition of cats or goats, then puppy yoga might just be the best thing ever invented. Our friends at New Hope Dog Rescue in Saskatoon will be bringing their newest litter of German Shepherd cross puppies to explore and play around the Fitness Focus yoga studio while all the participants find their zen. All proceeds raised by Mutts & Mats will be going to New Hope Dog Rescue, which provides financial aid for emergency surgeries, housing, food and other expenses associated with the process of finding dogs a forever home. Be sure to watch for upcoming announcements for the next available Puppy Yoga Session. 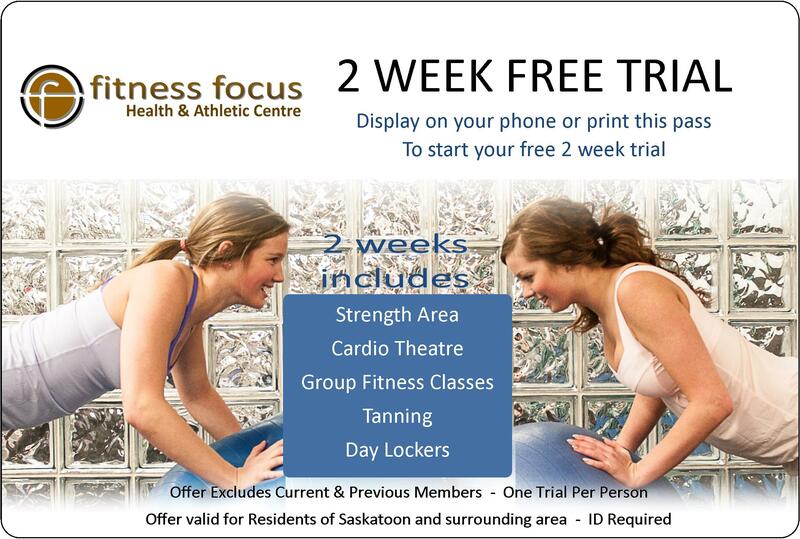 Attention Members, it's time for your reward for referring your everyone to your favorite gym in Saskatoon! Right about now you're asking, "Reward, what reward?" The answer is yes, your reward of one free month for every friend, family member, co-worker or even a stranger on the street that you refer that signs up at Fitness Focus. Just because it's finally nice outside doesn't mean it's time to let go of all the progess you've made from Fall through Spring. The Group Fitness Studio is still packed with a great class lineup, so when fall rolls around again you don't have to be "that person" wishing you hadn't traded all your workouts for a patio during the summer. It may take a little extra motivation to make that trip to the gym over the summer when you are trying to take advantade of every minute of sun we get. Keeping your focus will result in the difference between reaching and maintaining your goals in the gym and in your overall fitness, versus starting from the bottom when the weather turns cold and you decide you've taken enough steps in the opposite direction. Everyone gets busy during the summer months, but don't lose sight of the importance of getting at least 30 minutes of exercise per day. Zumba, Spin, Boxercise Tabata, MetCon and much more; see The Aerobics Schedule for classes and times!